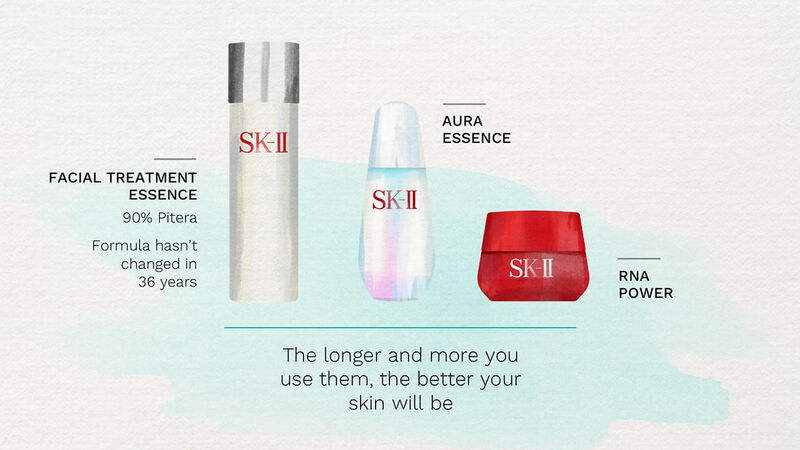 SK-II was born when researchers set out to explore the legend that sake makers had beautiful skin. They wanted to discover how natural ingredients could reveal the secret to youthful skin and through their studies, they discovered Pitera™, a skincare product derived from the natural fermentation process. Influenced by the culture, nature, and beauty of Japan, Pitera™ improves the skin’s surface and restores its translucency, softness, and smoothness. SK-II came to us to develop a stunning presentation that matched the beauty of their product while still conveying the breakthrough science behind it. 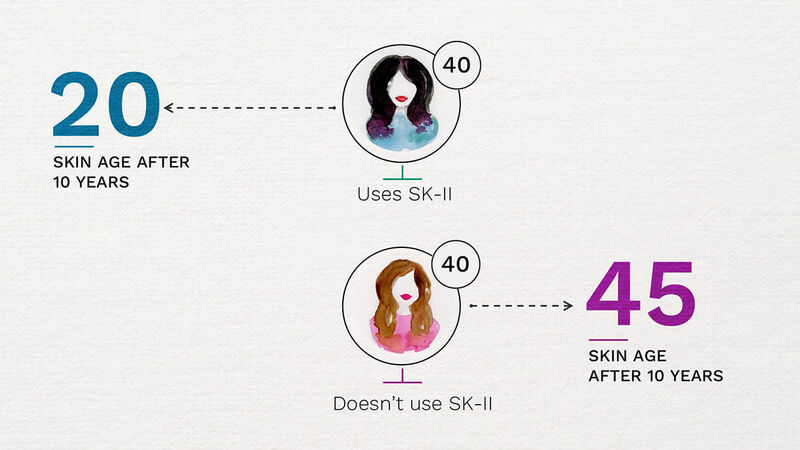 SK-II had already successfully marketed their product by telling a scientific story. Now they wanted a presentation that would inspire a new generation of beauty bloggers to feature their products more often in their posts. Beauty bloggers are young, fashionable, and hip to the latest trends. For SK-II to appeal to this audience, a dramatic transformation was needed. SK-II invited some of the world’s most influential beauty bloggers to an event in Japan where they’d see the presentation and experience live demos. We were charged with writing a 20-minute presentation and developing a unique visual style that would demonstrate “simple science” in a compelling way. We needed to get the facts right while still telling a very youthful and human story. Our discovery yielded an incredible story about Pitera™, SK-II’s miracle ingredient that promises youthful, crystal clear skin. After searching for more than 30 years, scientists had stumbled upon a sake brewery where aged brewers had soft and youthful hands. Back at the laboratory, the scientists isolated the liquid from the fermentation process, and the miracle ingredient was born. Our writing staff took this amazing story and fleshed out an equally compelling narrative. In addition, the visual review revealed that we had the creative freedom to experiment with watercolor illustrations. Not only would this allow the visual language to reinforce the story, but it would also appeal to the young, trendy, target audience. The work served to make the same old story new and fresh to younger e-influencers. It also got the internal communications team excited, which is important when you have to present repeatedly in multiple markets and events over a year. The transformative work made the brand generate the highest-ever impressions and engagement throughout the marketing sessions, and helped the brand appeal to new and younger audience.